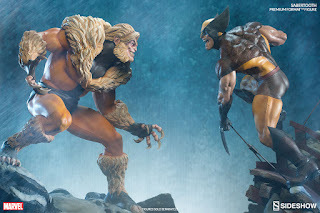 Following the recent announcement of Wolverine brown costume ver. comes Sabertooth classic PF! 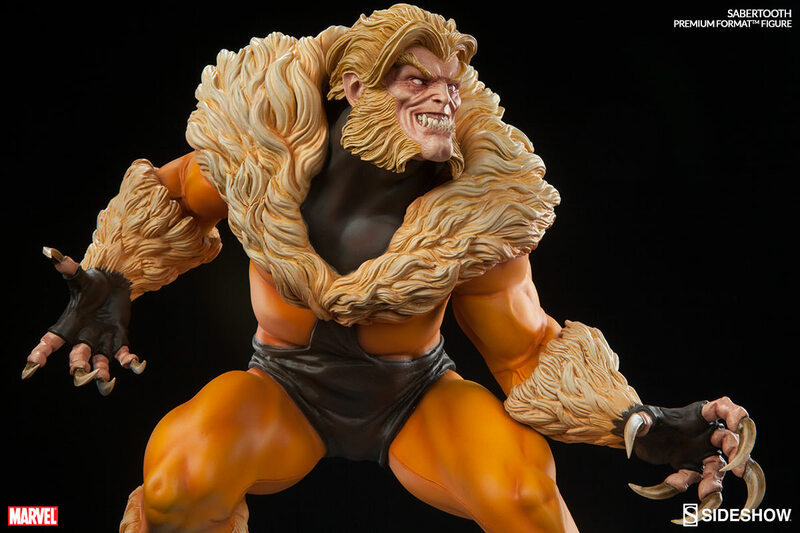 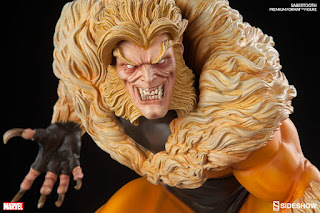 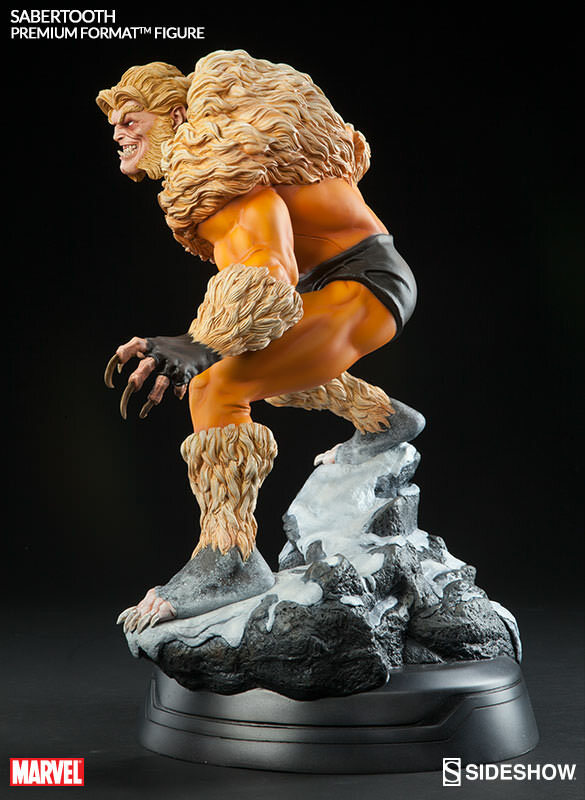 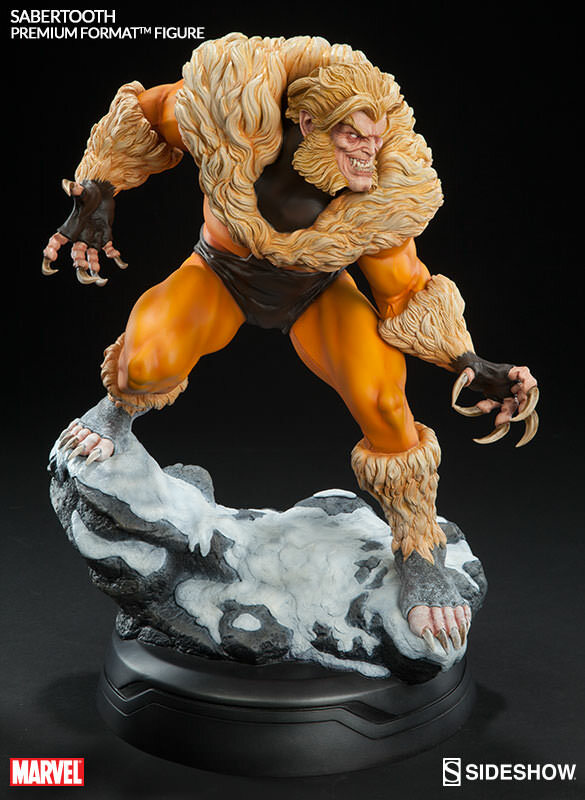 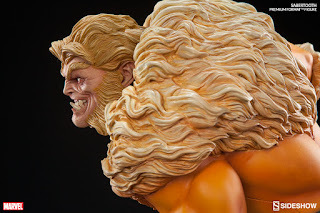 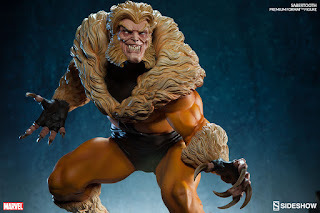 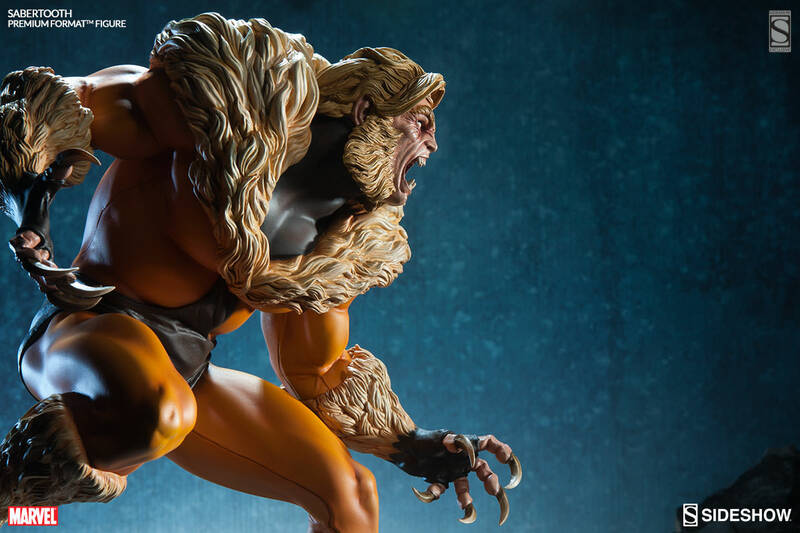 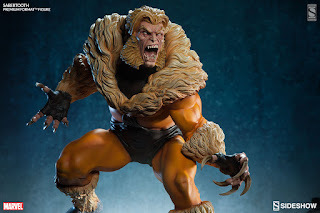 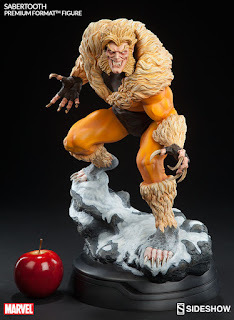 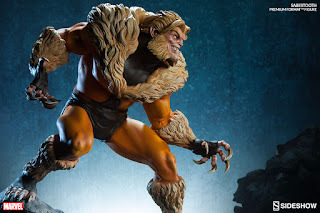 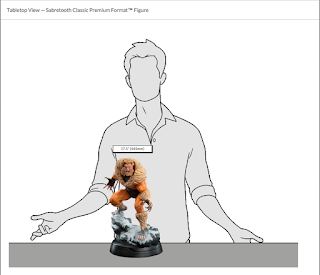 Sabretooth also comes with exclusive and regular version. 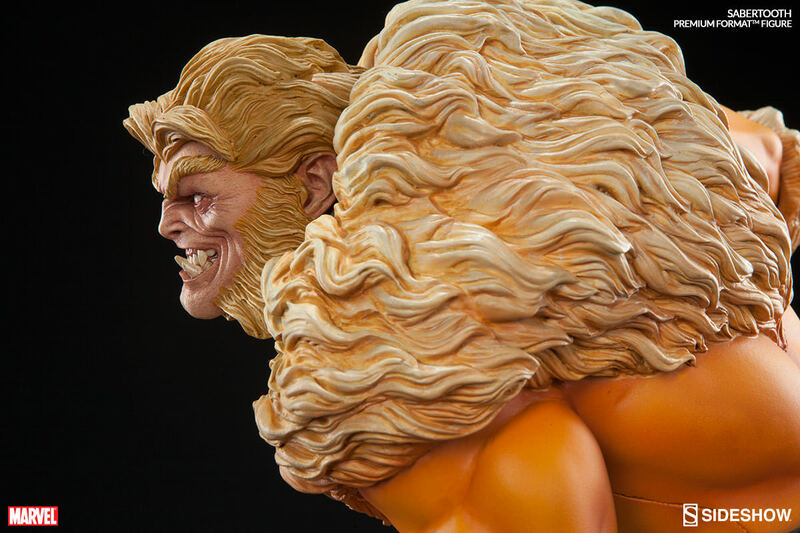 The exclusive version comes with open-mouth head sculpt. Check out pics and details below from SideShow Collectibles! 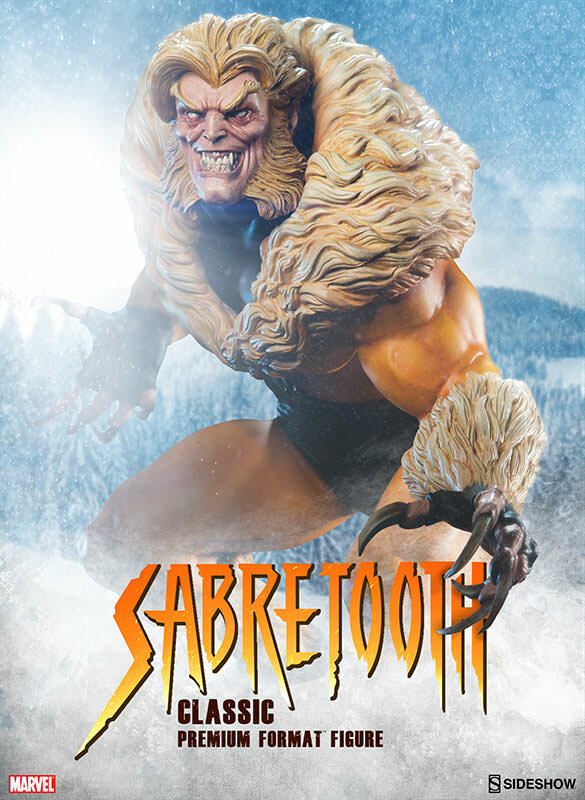 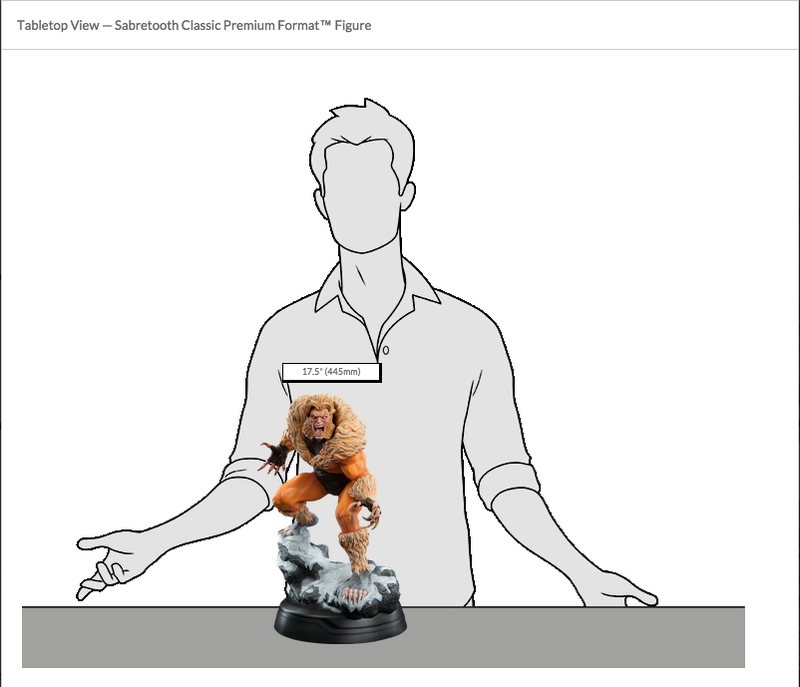 Joining our Marvel X-Men collection, Sideshow Collectibles is proud to present the Sabretooth Classic Costume Premium Format™ Figure. A former subject of the notorious ‘Weapon X’ project, Victor Creed embraced his primal instincts when he became the feral mutant, Sabretooth. Crouched over a snow-covered slab of arctic terrain, the ruthless predator bristles in anticipation of his next clash with longtime rival, Wolverine. Fangs bared in a vicious sneer, and muscles rippling under his classic fur-trimmed brown and gold costume, Creed relishes the moment before they cross paths, just itching to tear into the flesh of his greatest foe. 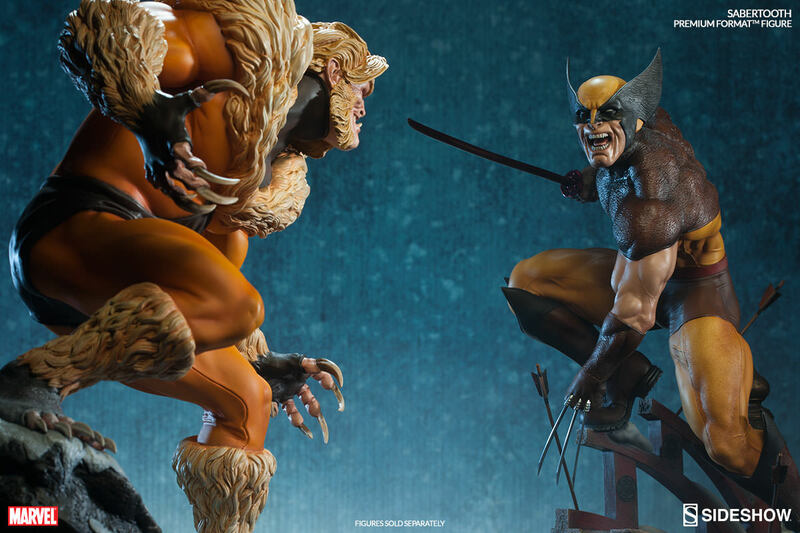 Create the ultimate epic face-off between these two iconic Marvel arch-nemeses with theWolverine Premium Format™ Figure, the perfect companion piece for the Sideshow Sabretooth Classic!